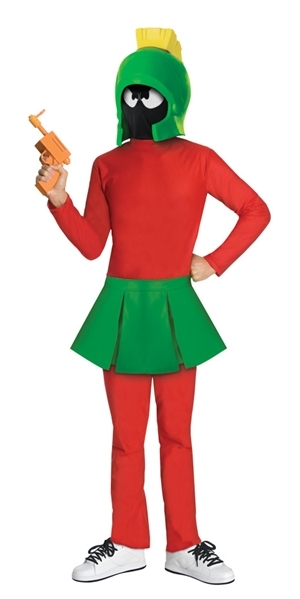 This officially licensed Marvin the Martian Costume is the perfect choice for any Looney Toons fan for Halloween! It includes jumpsuit, helmet/headpiece, and mask. One size fits most adults. Ray gun sold separately.